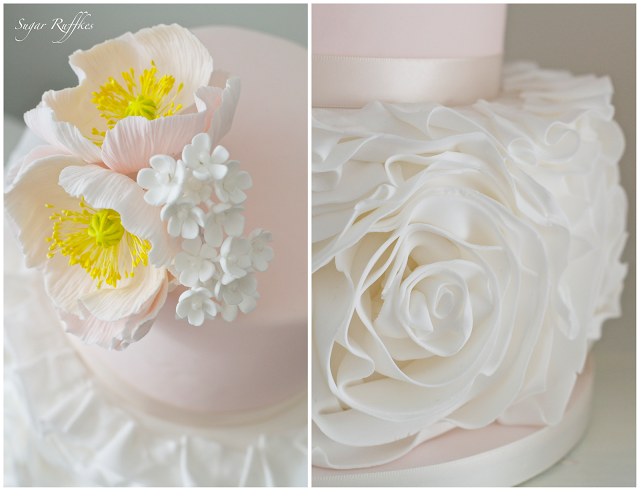 Here are a few of our recent wedding cakes and birthday cakes. 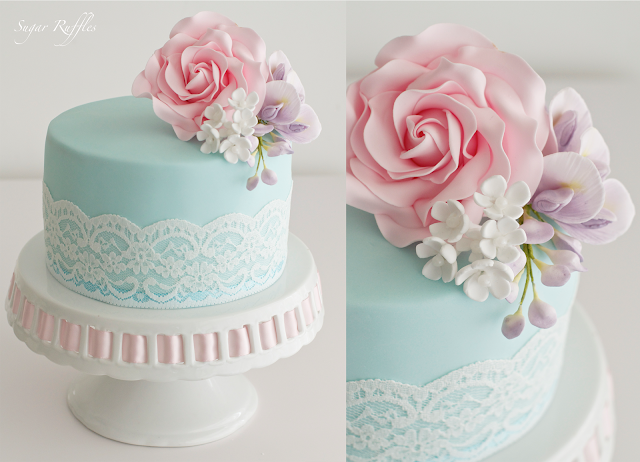 Firstly a chocolate birthday cake made for my Mums birthday, topped with a large pink rose, wisteria and little white blossoms. 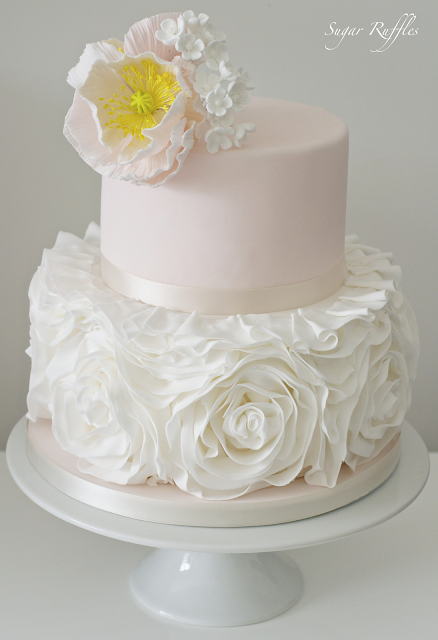 A pretty 2-tier wedding cake with ruffle roses, topped with pink Icelandic poppies and little white blossoms. 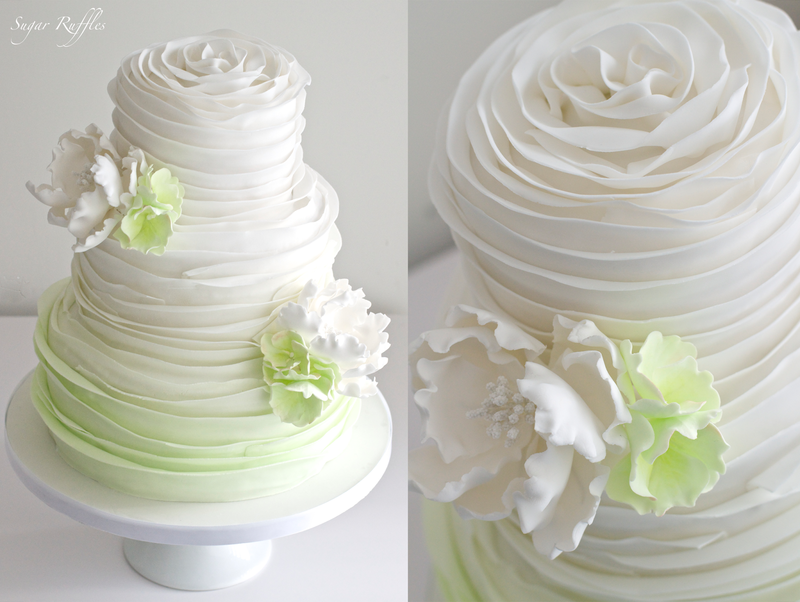 A 3-tier spring green ombre wedding cake with peonies and green hydrangea flowers, delivered to Inn on the Lake, Ullswater on Valentines day. Each guest was also treated to a red heart 'Valentines' iced biscuit favour. 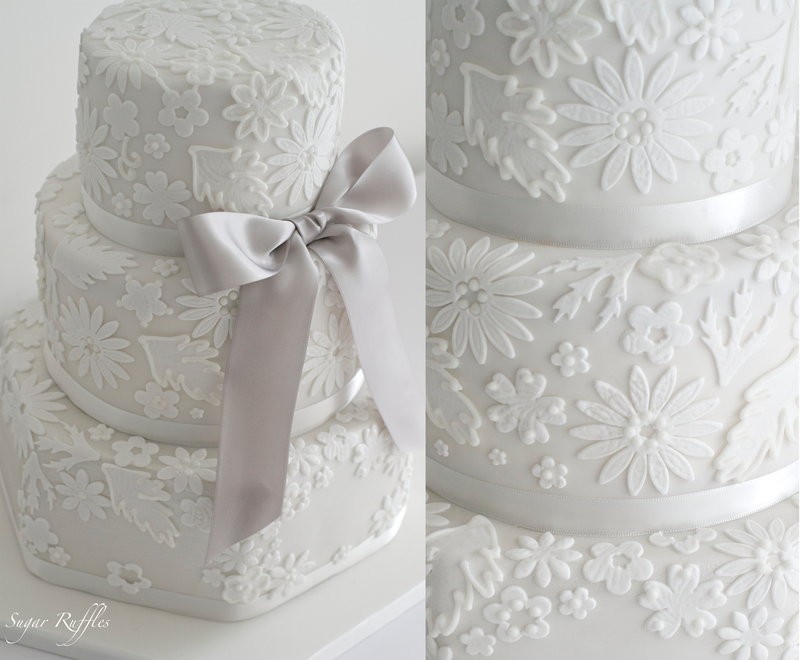 A 3-tier wedding cake with individually cut, embossed and piped lace. Delivered to Abbey House Hotel. Forgot to say, I like your mum's b-day cake this year! Amazing...I wonder if you can make it for my wedding! !